Renaissance Books provides a platform for authors in the fields of reference, memoir, fiction, literature and literary studies that speak to our scholarly interest in East-West cultures and traditions. Hardback published 2006; softback reprint published to mark ascendancy to imperial throne in 2019. Became Crown Prince of Japan in 1989, on death of his grandfather Emperor Showa, Prince Naruhito studied at Merton College, Oxford, 1983-1985. This marked the first time that anyone in direct succession to the throne had ever studied outside Japan. 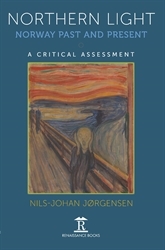 In Northern Light , former Counsellor and Minister Counsellor at the Norwegian Embassies in Bonn and Tokyo, Nils-Johan Jørgensen challenges many existing perceptions and stereotypes relating to his country of birth, making this an essential reference for those interested in Norway – its people and culture, as well as, more broadly, in international affairs and European history in particular. Born into the post-war American Occupation of Japan, Nobuko Kanasaka (née Fujimoto) emerged as a woman of her time, both tempered and inspired by the vicissitudes and challenges of occupation life (up to 1952), followed by the hazards of the early post-occupation growth of the economy, the ‘miracle’ years and finally the ‘post-bubble’ years. 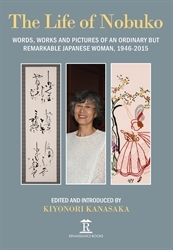 This illustrated volume comprising over 400 photographs and illustrations, tracks both Nobuko’s life experiences from early childhood and celebrates her achievements as an amateur artist, calligrapher and writer. On a battered ship, drifting into Usuki Bay, barely standing, are 23 Dutchmen and 1 Englishman, the remnants of a fleet of 5 ships and 500 men that had left Rotterdam. 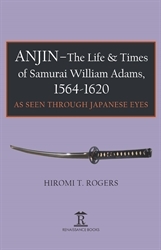 Englishman, William Adams, later known as Anjin Miura by the Japanese, who went from wretched prisoner to one of the Shogun’s closest advisers is the centrepiece of this book. 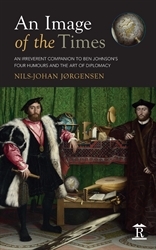 Here is a witty and learned literary excursion into the world of humour and comic literature as revealed inter alia by the works of Shakespeare, Ben Jonson, Oliver Goldsmith and Henry Fielding – leading in the second half to some glorious insights and observations provided by the author’s life experience in the world of diplomacy. It is a rich and fascinating mix of literary idiom, the theatre of the absurd and the comic element of the human condition. 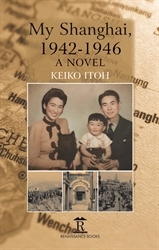 Here is an extraordinary love story that speaks to the crisis of separation and scorn, love and hate, following the Korean War ceasefire in July 1953. Four years later, Sukey, a graduate with much promise, falls in love with Kwon, a man who confesses to having been a North Korean spy. Although hostilities are over, enmity towards the North is the social norm and deeply entrenched. With anti-spy campaigns, street searches, and arrests of any suspect, citizens are urged to be vigilant and to report on any suspicious goings-on. It is 1942. Shanghai after Pearl Harbor. 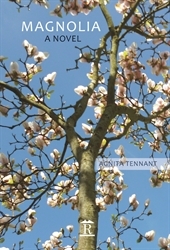 Newly-arrived Eiko Kishimoto, a twenty-year-old, London-educated Japanese housewife, settles into a privileged existence in the French Concession as a member of the community of the Occupying Power. Initially, her days are filled with the rich fare of high society life, amidst an ebullient, cosmopolitan community that makes up Shanghai. 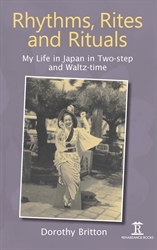 Including a description of her survival as a small child in Japan’s Great Kanto Earthquake of 1923, this book is an enthralling account of the late Dorothy Britton’s life, loves and experiences in an amazingly varied life and career. 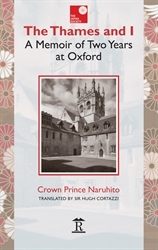 Amusing episodes and stories of fascinating people and relationships abound in the book, as do valuable insights into topics such as the post-war Occupation and its impact on everyday life, the role of women, learning Japanese, marriage customs, food and many other aspects of Japanese culture and society.